On 1,014 days over four years, John J. Santo scoured Petersburg National Battlefield Park and other properties with a metal detector and his dog, looking for Civil War-era artifacts that he could collect and turn into cash. It became his full-time job. 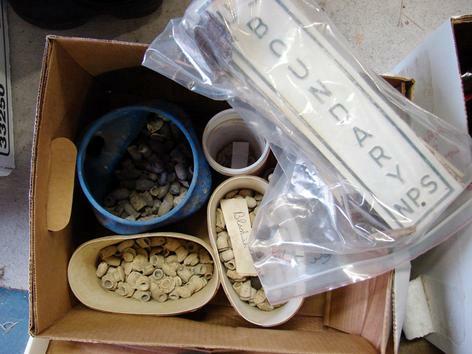 When authorities caught up with him last year, they recovered more than 9,000 rusty relics, including bullets, buckles, cannonballs, breastplates and buttons during a search of his home. But perhaps the most astonishing find was a journal he kept of every one of his illegal expeditions. By his own account, Santo wrote that he recovered more than 18,000 bullets, 68 fuses, 31 cannonballs and shells, 13 buckles, seven breastplates, five saber tips and 91 buttons over 1,014 days. 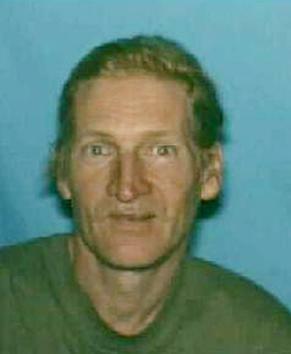 "The defendant's journal is a tell-all of his misconduct, identifying with a high degree of specification where he engaged in metal detecting/relic hunting and when and what he recovered," wrote Assistant U.S. Attorney N. George Metcalf in federal court papers. "He even kept a running tally of the items he found from day to day on a yearly basis." Santo's handwritten journal, recovered during a July 10, 2011, search of his Petersburg home, proved to be his undoing. On Wednesday, the 52-year-old unemployed Pennsylvania native was sentenced in U.S. District Court in Richmond to one year and one day in a federal prison. He pleaded guilty in December to two counts of damaging archaeological resources and one count of pillaging Petersburg National Battlefield Park. Santo is regarded as the park's most prolific relic thief. "At least in this park, he's like No. 1 as far as the amount of stuff he's taken and how long this has been going," Park Superintendent Lewis Rogers said Thursday. "This is the biggest catch that the park has had." Park officials couldn't place a monetary value on the 9,000 recovered items, which are now being sorted and reviewed by park historian Jimmy Blankenship and will be eventually added to the park's collection. "I don't know any case where anyone had more artifacts than this guy did," Blankenship said. "We don't even have 2,000 bullets in our entire museum collection, and we are inheriting over 8,000 bullets from the stuff that (Santo) still had at his house." Blankenship said one of the issues that concerned the court was the amount of relics Santo apparently sold. "We know he found over 18,000 bullets," Blankenship said. "We only confiscated something like 8,500. So what happened to the other 10,000 bullets?" Blankenship said the truly distressing aspect of Santo's misdeeds is that historians will never know the true historical value of the items he plucked from the ground. "We don't know where he found them at, we don't know the context in which they were laying in the ground," Blankenship said. "So all that information that we could have got from these items if it had been a scientific archeological dig is gone forever. And that's the real sad part of this case." Blankenship noted that not all the recovered artifacts came from the battlefield park. "He was relic hunting all over the place." Based on his own writings, Santo searched park property regularly from 2006 to 2010, frequently accompanied by his dog. Park employees spotted Santo on several occasions, but when spotted he would run away, usually leaving behind dozens of freshly dug holes, according to court papers. During an encounter on March 27, 2009, Santo dropped a pair of metal shears he was using to dig artifacts from the ground, authorities said in court papers. After fleeing a park ranger on Nov. 18, 2010, Santo wrote in his journal for that date, "Ran into Park Ranger Ran Away." A park archaeologist assessed the cost to repair the park grounds, along with the archaeological loss of relics, to be at least $37,945, according to court documents. The defendant's attorney described Santo in court papers as a recovering alcoholic who has an extreme anxiety disorder that prevents him from working or socializing with people. As a result, he rarely left his home and his only outlet was walking in the battlefield park with his metal detector and dog, his attorney wrote. Santo lived with a girlfriend in Petersburg's Walnut Hill neighborhood, about 2 miles from the battlefield park. His attorney wrote that Santo always backfilled the holes he dug and never sold anything he recovered. But federal prosecutors said the evidence strongly suggested otherwise. Santo has no means of support other than his girlfriend's Social Security check, and "the circumstances strongly suggest that (Santo) supported himself by selling these artifacts," prosecutors said. Prosecutors noted that Santo was convicted of relic hunting on Petersburg city property in October 2007 and that the experience didn't deter his plundering. They said Santo's journal shows that on the day he was charged in Petersburg, and again on the day he was convicted, he went to the battlefield park with his metal detector to hunt for relics. New and Noteworthy---The Compromise of 1850: A Finger In The Dike? From The Publisher: An absorbing exploration of a crucial moment that shaped the American identity—and which has striking parallels in our own politically contentious age is a fascinating, timely account of national morality and political expediency during the yearlong debate over what we know today as the Compromise of 1850. Bordewich, a historian and journalist who has written to great acclaim on such seminal topics as the Underground Railroad and the design and building of Washington, D.C., here examines mid-nineteenth-century America at a critical juncture, bringing to life the outsized men of the age, who wrestled with slavery, sovereignty, and America’s manifest destiny. Two historic events triggered the great congressional debate that would lead to compromise: the Mexican War and the California Gold Rush. With great swaths of the North American continent becoming new territories of the United States, and with some, like California, petitioning for statehood, the balance of slave states and free states, which had been politically crucial since the Missouri Compromise thirty years earlier, once again dominated debate in Congress. 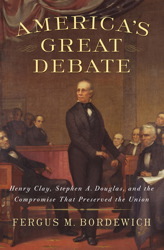 The architect of that earlier compromise, Henry Clay, and his arch-rivals John C. Calhoun and Daniel Webster were still dominant figures in Congress, but there were new voices, too: Stephen A. Douglas, Jefferson Davis, William Seward, all sparring over their political and ideological agendas. As the year-long debate persisted, Clay tried unsuccessfully to broker a compromise. When he failed, Douglas pushed through his own compromise, which saved the nation from collapse and staved off civil war, even as it helped make civil war inevitable. Bordewich’s indelible portraits of these complicated men bring America's Great Debate vividly to life: Calhoun, the aging “Marxist of the Master Class,” who believed incontrovertibly in the divinely imbued superiority of the white race; Douglas, who, although a northerner, was married to the daughter of a wealthy slave owner; Webster who, even with his Yankee bona fides, ardently supported the strengthened Fugitive Slave Act that was an integral part of the compromise. They and many others shaped the great debate, amalgamating personal beliefs, moral precepts, and political savvy. Fergus M. Bordewich is the author of several books, among them Washington: The Making of the American Capital and Bound for Canaan, a national history of the Underground Railroad. As a journalist he has written widely on political and cultural subjects in Europe, the Middle East, and East Asia. 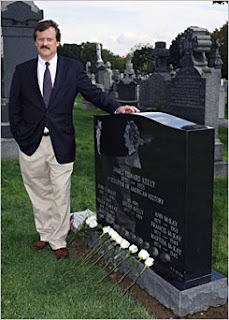 His articles have appeared in The New York Times, The Wall Street Journal, Smithsonian, American Heritage, The Atlantic, and many other publications. 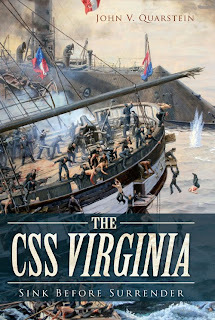 He lives in Washington, D.C.
From the Publisher: When the CSS Virginia (Merrimack) slowly steamed down the Elizabeth River toward Hampton Roads on March 8, 1862, the tide of naval warfare turned from wooden sailing ships to armored, steam-powered vessels. Little did the ironclad’s crew realize that their makeshift warship would achieve the greatest Confederate naval victory. The trip was thought by most of the crew to be a trial cruise. Instead, the Virginia’s aggressive commander, Franklin Buchanan, transformed the voyage into a test by fire that forever proved the supreme power of iron over wood. The Virginia’s ability to beat the odds to become the first ironclad to enter Hampton Roads stands as a testament to her designers, builders, officers and crew. Virtually everything about the Virginia’s design was an improvisation or an adaptation, characteristic of the Confederacy’s efforts to wage a modern war with limited industrial resources. Noted historian John V. Quarstein recounts the compelling story of this ironclad underdog, providing detailed appendices, including crew member biographies and a complete chronology of the ship and crew. John V. Quarstein is an award-winning historian, preservationist, lecturer and author. He served as director of the Virginia War Museum for over thirty years and, after retirement, continues to work as a historian for the city of Newport News. He is in demand as a speaker throughout the nation. Quarstein is the author of fourteen books, including the companion volume to The CSS Virginia, The Monitor Boys. He has produced, narrated and written six PBS documentaries, including the Civil War in Hampton Roads series, which was awarded a 2007 Silver Telly. John Quarstein is the recipient of over twenty national and state awards, such as the United Daughters of the Confederacy’s Jefferson Davis Gold Medal in 1999. He lives on Old Point Comfort in Hampton, Virginia, and on his family’s Eastern Shore farm near Chestertown, Maryland. 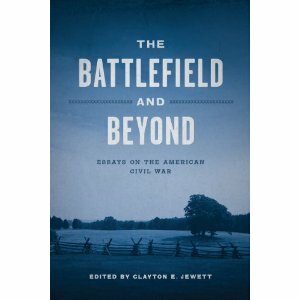 The Battlefield and Beyond: Essays on the American Civil War, Clayton E. Jewett and Clayton E. Jewet, Louisiana State University Press, Series: Conflicting Worlds: New Dimensions of the American Civil War, 368 pages, $47.50, Release Date: May 16, 2012. From The Publisher: In The Battlefield and Beyond the nation's leading Civil War historians explore a tragic part of our nation's history though the lenses of race, gender, leadership, politics, and memory. The essays in this strong collection shed new light on the defining issues of the Civil War era. Orville Vernon Burton, Leonne M. Hudson, and Daniel E. Sutherland delve into the master-slave relationship, the role of blacks in the army, and the nature of southern violence. Herman Hattaway, Paul D. Escott, and Judith F. Gentry offer innovative perspectives on the influential leadership of President Jefferson Davis, Lieutenant-General Stephen D. Lee, and General Edmund Kirby Smith. The essays in The Battlefield and Beyond consider the fundamental issue of the Confederacy's failure and military defeat but also expose our nation's continuing struggles with race, individual rights, terrorism, and the economy. Collectively, this distinguished group of historians reveals that 150 years after the nation's most defining conflict its consequences still resonate. CWL: The Battlefield and Beyond appears to be one of the better collections of essays that are being published during the sesquicentennial. Authors with which CWL is familiar and appreciate include Orville Vernon Burton, Daniel E. Sutherland, Herman Hattaway, Paul D. Escott, Bertram Wyatt-Brown and Emory M. Thomas. The topics that include the of type of despotism that contributes to Confederate defeat, the nature of southern violence, and the influential leadership of President Jefferson Davis may break new ground. News---Newly Found Letter Reveals McClellan's Treason? William Styple states in a Facebook post: "Soon, my friends, there will be a very important news release from the Associated Press regarding my upcoming book. I have discovered an unpublished letter written from "Head Quarters, Army of the Potomac, Harrison's Landing, Va., July 11, 1862"--which changes the History of the Civil War. It proves once and for all, that General Phil Kearny was correct--Major General George B. McClellan is guilty of High Treason. Bold Statement? Yes. But after America reads this letter, you will all agree with me--it is true beyond any doubt. I was totally shocked when I first discovered this letter, and just kept saying to myself: "My God...My God...Kearny was right...." It is the single most important discovery of my professional career." This statement is from a Facebook post on March 1, 2012. Styple is no slouch when it comes to rooting out primary sources that have seen the light of day for 100 years. His Generals in Bronze is remarkable! See the USA news story regarding the discovery of a sculptor's interviews of subjects who were Civil War generals. Updates on this news item will be forthcoming. Soldiers & Sailors & Allegheny County Medical Examiner Locate Civil War Medals in 100 Year Old Time Capsule, Colleen Elms,Soldiers & Sailors Memorial Hall & Museum Trust, Inc. Press Release, February 29, 2012. Pittsburgh Pennsylvania's Soldiers & Sailors Memorial Hall & Museum with assistance from the Allegheny County Medical Examiner x-rayed its 100 year old time capsule content on Wednesday, February 29, 2012. In October 2010, Soldiers & Sailors began celebrating its 100th anniversary by extracting the cornerstone that was placed in the building in 1908. Although the time capsule was unfortunately damaged by moisture, it included items such as period photographs, newspapers of the day and other historical documents. Over the past year, Soldiers & Sailors Curator Michael Kraus worked to stabilize the contents of the time capsule by extracting the moisture. Kraus studied the original list of contents and determined that there were more metallic objects embedded than the two originally found inside the capsule. Allegheny County Medical Examiner Dr. Karl Williams graciously offered to facilitate an x-ray of the capsule’s content at the County’s state of the art facility. 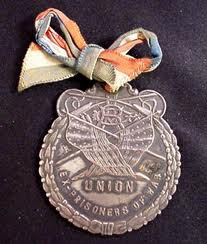 The x-ray revealed the location of several artifacts, including a Union ex-Prisoners of War medal and lapel button, a Union Veteran Legion medal and lapel shield and a Woman’s Auxiliary of the Union Veteran Legion medal. The findings prove the validity of the original capsule’s list of contents and will allow the curatorial staff to use the x-ray pictures to further study and evaluate the content. In May, 2012, Soldiers & Sailors plans to dedicate a new time capsule at its annual Memorial Day celebration, recreating the ceremony that occurred more than one hundred years ago when the original time capsule was embedded in the cornerstone. A new capsule will be placed in the cornerstone and include items that reflect upon our history, but also capture our current state. The contents will include a slice from the 1910 capsule contents, an American flag, currency, a commemorative 100th anniversary coin and other historic and significant items to be determined. The original time capsule’s content is currently on display at Soldiers & Sailors. Visitors can view the recovered items and learn more about the placement of the time capsule in 1908.